Don’t you just wish there was a way around the different rules in life? It may not be easy in real life, but you just might be able to get away with a few things in BitLife. 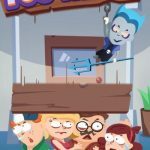 Candywriter’s popular simulation game puts you in the shoes of random characters. You will then have to live out the lives of these characters from birth until death. Just as with real life, you will need to make various decisions that will determine your character’s future. You will also get random events thrown at you where you will have to choose between a handful of options. The game does a great job of recreating real lives for your characters, but there will come a point when you start thinking about doing more. You can check out our previous BitLife guides if you are trying to figure out how to play the game properly. 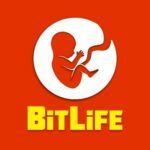 If you are trying to cut corners when it comes to getting a car, though, our BitLife car guide below just might be what you are looking for. The developers are constantly updating the game, so there are new things to try all the time. One of those updates is the ability to steal a car. Keep in mind that you could end up in jail if you try it and get caught. Successfully stealing a car, however, will allow you to sell it for some extra income. There are a few things to consider if you want to be successful in grand theft auto, though. You need to choose the right car. High-profile cars may seem like a lot of money, but they would also be much harder to steal. You would want to stick with generic cars to increase your chances of success and minimize the threat of winding up behind bars. Stay away from anything that is worth more than $50,000 just to be safe. If your character encounters trouble while trying to steal a car, you will get a pop up that says you are starting to get nervous. You will then have the option to abandon the car and just run away. Of course, the safe option would be to leave and try again some other time. If you choose to stay, however, it does not mean that you will surely end up getting caught. Now that you have a hot car on your hands, you need to get rid of it as soon as possible. That means selling it in the black market. Do not be surprised if you only get a fraction of the car’s value. Stolen cars involve a lot of risk, so people won’t really pay full price for it. That’s the whole point of buying off the black market. You will most likely make about 35% of the original value depending on the car’s condition. If for some reason no one is buying your stolen car, just get rid of it. You cannot hold on to the car for too long because the cops will eventually trace it back to you. At that point, you will end up in jail. Don’t feel too bad about throwing away the stolen car since you didn’t really need to pay anything in order to get it. It’s better to play it safe. Just steal another car and try to sell that. There are no guarantees in the life of crime, but you can keep trying as long as you stay out of trouble. It is up to you, though, if you want to play it safe or keep taking risks. If you do get caught, hire a good lawyer to help you out of trouble. If you don’t want to fork over the cash to hire that lawyer, you can always try cheating instead. When you fail to steal a car or get caught while doing so, you can always rewind time and try again. Since outcomes are usually random, you will eventually be able to get a result in your favor. There is more to the time cheat than just stealing cars, though. You can use it to avoid death, reverse the death of loved ones, or even succeed in a different type of crime. Before you get excited, there are a few rules that you need to follow if you want to use the time cheat. First off, you can only reverse the last performed action. If you want to return to the previous year, you have to do the time cheat right after you hit the Age button and before you do any other type of action. If you perform the time cheat after any other action, it will just reverse the action you performed instead. Second, repeating the time cheat does not double its effect. Even though you can go back one year when you perform the hack, you will not go back two years if you do it twice in a row. To perform the hack, simply force close the game when something bad happens. That means going into the app switcher menu of your device and ending the game from there. Forcing the app to close in this way will stop it from saving your last action. Make sure you understand that the events in the game are random. When you die and decide to use the hack to go back one year, there is a chance that you will not die after the year has passed. If you try to use the hack to win at gambling, you may need to try a few times before you actually win. That can be tedious on your part since you will be doing the repetitive task of closing the game and relaunching it. It may still be better if you choose to just use the time cheat to reverse major events. For example, if you were aiming for a ribbon but a random event caused you to lose any hope of acquiring that ribbon, you can use the time cheat. Using it for every little thing that you don’t like is just too much work. When life throws you lemons, you don’t always need to make lemonade. You can just use our BitLife tips and tricks to help you bend the rules and get away with anything!